While buying a beautiful sari even a day before an occasion is quite easy, the real trouble is choosing a blouse that will make you own the evening. And hidden at the MG Road City Centre, we found Feminine Designer with modern designs and even traditional ones all under one roof. Our search for ready-made blouses that would be as good as the ones available at GK 1’s M Block led us here. Tucked away in a tiny lane of the MG Road’s City Centre, this place turned out to be a goldmine in terms of variety. From strappy blouses to high-neck ones, everything is available right here. The blouses are beautifully embellished with sequin of different colors and doris for the deep-back designs. But even the plain blouses are just as smart. With prices starting at just INR 1,300 for non-padded blouses, this should be your go-to place for all the times you have a sari and just need a stellar blouse to carry it off. 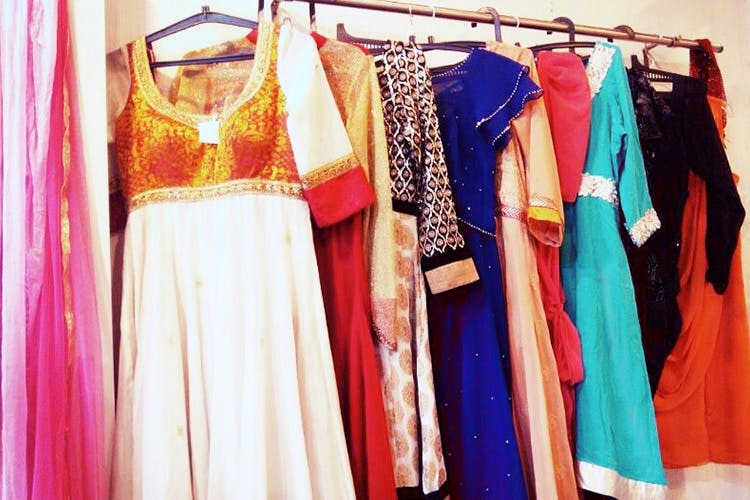 A blouse can really add shine to even a dull sari and if you’re running short on time, this store in MG Road’s City Centre is the place you need to visit.